The Morakniv 105 Wood Carving knife is a traditionally designed fixed blade that is well-known and appreciated among wood carvers in Sweden. 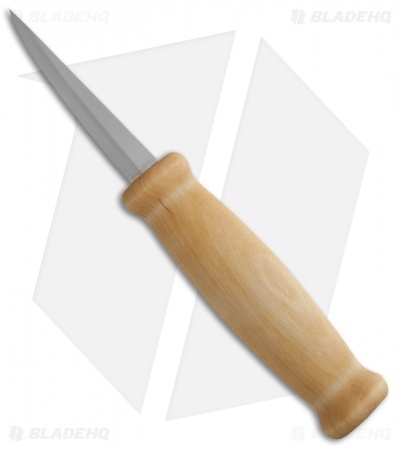 It has a thin, tapered blade of laminated steel and a large oiled birchwood handle. Includes plastic sheath.